Get your first fix of 2015 with wall charts for ALL of the Super League and Championship fixtures for next season. 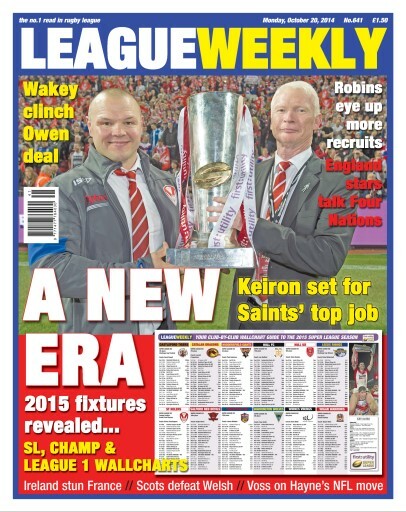 We reckon that KEIRON CUNNINGHAM will be unveiled as St Helens' new coach today (Monday) and have a bunch of other breaking news too. There's a 4 Nations preview from Down Under and all of the League news you won't find anywhere else. 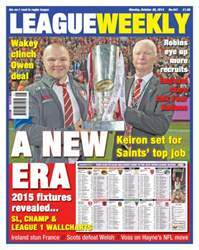 League Weekly – the sport's no.1!